Adding a piece of jewelry to your accessories collection is a great way to breath new life into your wardrobe. From elegant to contemporary, Neustaedter’s Fine Jewelry offers a variety of beautiful, high quality bracelet styles. 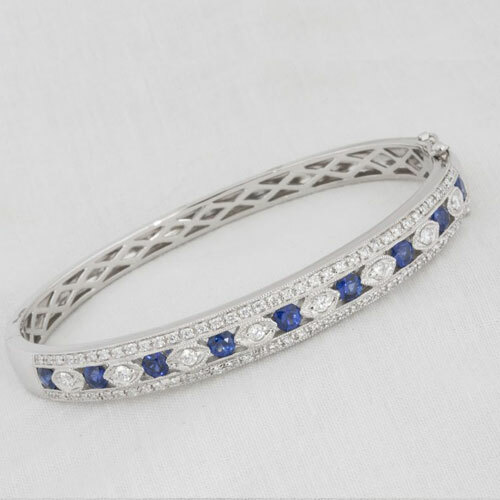 Diamond tennis bracelets are still a popular choice. Often given as a gift for holidays and special occasions, a diamond tennis bracelet is also beautiful way to recognize a special milestone. Tennis bracelets vary a great deal when it comes to quality of the diamonds, metals and craftsmanship. We recommend you employ the same careful shopping for a diamond tennis bracelet, as you would a ring. Nuestaedter’s Fine Jewelry also offers bracelets made from a number of different materials, created from many different designs. Browse our entire collection of wristwear including tennis bracelets, beaded bracelets, cuffs, bangles, mala beads and fine watches.